Joseph Massie, 25, of London Road, Pulborough, was given a community order with Rehabilitation Activity Requirement and must carry out 160 hours’ unpaid work after admitting damaging a front door, window, hair dryer and mirror in Pulborough on August 24, 2018; assault by beating in Pulborough on August 24, 2018; and possessing herbal cannabis, a class B drug, in Pulborough on August 24, 2018. He must pay £490 compensation, £85 victim surcharge, £85 costs. Robin Muir, 57, of Compton, near Chichester, was fined £200 and must pay £30 victim surcharge, £85 costs, after admitting driving without due care and attention in Hollist Lane, Easebourne, on April 28, 2018. He driving record was endorsed with six points. Jeremy Seeley, 18, of Bognor Road, Merston, was given a community order with eight-week curfew, electronically monitored, from 8pm to 7am daily, and must carry out 120 hours’ unpaid work after admitting assault in Chichester on August 22, 2018; and damaging a vehicle in Chichester on August 22, 2018. He must pay £100 compensation, £85 victim surcharge and £85 costs. Matthew Shoebridge, 36, of Frith Road, Bognor Regis, was fined £80 and must pay £102.09 vehicle excise back duty, £85 costs, after admitting keeping an unlicensed vehicle in Bognor Regis on February 19, 2018. Mark Salter, 31, of Bleachers Court, Lavant, was fined £50 and must pay £60 costs after admitting breaching supervision requirements following release from prison, failing to keep in touch with his supervisor by failing to report for meetings on July 26, August 1 and August 7, 2018. Naomi Barney, 53, of Broad Meadows, Broad Road, Nutbourne, was fined £126 and must pay £50 compensation, £30 victim surcharge, £85 costs, after admitting assaulting a police constable in the execution of her duty in Chichester on August 27, 2018. Carl Bird, 32, of Pryors Green, Bognor Regis, was given a community order with Rehabilitation Activity Requirement and must carry out 60 hours’ unpaid work after admitting drink-driving (101mg of alcohol in 100ml of breath) in East Lake, Bognor Regis, on August 26, 2018. He must pay £85 victim surcharge, £85 costs, and was disqualified from driving for 24 months. He was fined £320 after admitting driving without insurance and admitted driving without the correct licence, no separate penalty. Anatolie Macari, 36, of Collyer Avenue, Bognor Regis, was fined £230 and must pay £30 victim surcharge, £85 costs, after admitting drink-driving (43mg of alcohol in 100ml of breath) in Charles Purley Way, Bognor Regis, on August 25, 2018. He was disqualified from driving for 12 months. Sorin-Alexandru Mandache, 23, of Gravits Lane, Bognor Regis, was fined £511 and must pay £51 victim surcharge, £85 costs, after admitting possessing 22 wraps of cocaine, a class A drug, in Terringes Avenue, Tarring, on August 25, 2018. He was fined £85 after admitting failing to co-operate with a roadside drugs trest in Terringes Avenue, Tarring, on August 25, 2018. His driving record was endorsed with four points. He also admitted possessing cannabis, a class B drug, in Terringes Avenue, Tarring, on August 25, 2018, and driving without the correct licence, no separate penalties. Jebb Bradley, 36, of Barnfield Cottages, Arundel Road, Fontwell, was fined £400 and must pay £100 compensation after admitting assault by beating in Chichester on July 1, 2018. He was discharged conditionally for 12 months and must pay £50 compensation after admitting a second charge of assault by beating in Chichester on July 1, 2018. He was fined £400 and must pay £40 victim surcharge, £135 costs, after admitting using threatening, abusive or insulting words or behaviour with intent to cause fear of or provoke unlawful violence in Chichester on July 1, 2018. Roger Oakes, 68, of Potnore, Lavant, was fined £657 and must pay £65 victim surcharge, £250 costs, after being found guilty of harassment by posting numerous social media messages between May 30, 2018, and June 4, 2018. He was also given a restraining order. Charlie Budd, 19, of Douglas Close, Ford, was discharged conditionally for 18 months and must pay £20 victim surcharge, £85 costs, after admitting possessing cannabis, a class B drug, in Gospond Road, Barnham, on May 5, 2018. Paul Jones, 32, of Somerhill Avenue, Hove, was given a community order with supervision requirement and must pay £50 compensation, £85 costs, after admitting assault by beating in Worthing on August 29, 2018. 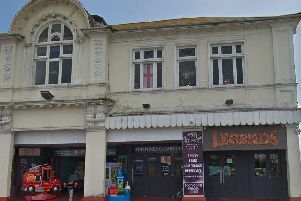 He must pay £125 compensation after admitting causing £500 damage to an Audi A5 Coupé in Worthing on August 29, 2018. Angela Roberts, 61, of Flatt Gardens, Flatt Road, Nutbourne, was fined £80 and must pay £30 victim surcharge, £85 costs, after admitting driving over the 30mph speed limit in Main Road, Fishbourne, on November 22, 2017. Her driving record was endorsed with four points. Sam McKeown, 29, of Kingston Road, Portsmouth, was given a community order with Building Better Relationships programme requirement and Rehabilitation Activity Requirement after admitting assault by beating in Chichester on June 2, 2018; and using threatening, abusive or insulting words or behaviour or disorderly behaviour causing harassment, alarm or distress, with intent, in Chichester on June 2, 2018. He was also given a restraining order and must pay £85 victim surcharge, £85 costs. He must pay £500 compensation after admitting causing £353.42 damage to a window in Chichester on June 2, 2018. Natasha Cardwell, 34, of Chichester Road, Bognor Regis, admitted breaching a community order by failing to report for RAR appointments on August 1, 2018, and August 8, 2018. The order was revoked and she was given a new community order with 16-week curfew, electronically monitored, from 8pm to 7am daily for the original offences of handling stolen goods and fraud by false representation. Neil Stretton, 72, of Eagle Brewery Yard, Brewery Hill, Arundel, was fined £196 and must pay £30 victim surcharge, £85 costs, after admitting driving over the 60mph speed limit on the A24 Shipley on October 7, 2017. His driving record was endorsed with three points. Joshua Issott, 24, of Northumberland Street, Plymouth, was given a community order, must carry out 200 hours’ unpaid work, and pay £2,000 compensation, £85 victim surcharge, £85 costs, after admitting taking a vehicle without consent in Petworth, on September 1, 2018, and before it was recovered, damage was caused. He was fined £200 after admitting driving without insurance and fined £50 after admitting driving without the correct licence, both in Church Street, Petworth, on September 1, 2018. He also admitted drink-driving (57mg of alcohol in 100ml of breath) in Church Street, Petworth, on September 1, 2018, and was disqualified from driving for 12 months, no separate penalty. Kestutis Esteris, 30, of Oakhurst, Upper Bognor Road, Bognor Regis, was given a community order and must carry out 100 hours’ unpaid work after admitting driving while disqualified in Franklin Place, Chichester, on September 1, 2018. He was disqualified from driving for six months. He was also fined £260 and must pay £85 victim surcharge, £85 costs, after admitting possessing cocaine, a class A drug, in Chichester on September 1, 2018. Kerry Hamilton, 43, of Sadlers Walk, Emsworth, was fined £276 and must pay £30 victim surcharge, £85 costs, after admitting drink-driving (68mg of alcohol in 100ml of breath) in Chichester Road, Selsey, on September 1, 2018. She was disqualified from driving for 17 months. Bradley Judge, 25, of Middle Park Way, Havant, was given a community order and must carry out 70 hours’ unpaid work after admitting possessing cocaine, a class A drug, in Chichester on March 25, 2018; and using threatening, abusive or insulting words or behaviour with intent to cause fear of or provoke unlawful violence in Chichester on March 25, 2018. He must pay £85 victim surcharge, £200 costs. Jordon Lillywhite, 22, of Springfield Close, Lavant, was fined £323 and must pay £32 victim surcharge, £200 costs, after admitting using threatening, abusive or insulting words or behaviour with intent to cause fear of or provoke unlawful violence in Chichester on March 25, 2018. Henry Sage, 27, of Birdhurst Road, South Croydon, was jailed for 20 weeks and must pay £115 victim surcharge, £250 costs, after admitting breaching a restraining order by making contact in Bury between February 6, 2018, and July 14, 2018. He was given a four-week concurrent prison sentence after admitting sending emails conveying a threat to cause distress or anxiety in Croydon on March 4, 2018. He also admitted breaching a suspended sentence order and was dealt with for the original offence, receiving an eight-week consecutive prison sentence for harassment in Bury, including 40 telephone calls in one evening, between February 1, 2017, and March 30, 2017. Jamie Walsh, 26, of Compton Court, Chidham Close, Havant, was given a community order and must carry out 70 hours’ unpaid work after admitting possessing cocaine, a class A drug, in Chichester on March 25, 2018; and using threatening, abusive or insulting words or behaviour with intent to cause fear of or provoke unlawful violence in Chichester on March 25, 2018. He must pay £85 victim surcharge, £200 costs. Peter Spink, 74, of Heath Road, Petersfield, was fined £122 and must pay £30 victim surcharge, £85 costs, after admitting failing to identify a driver when required by police in Shoreham on October 31, 2017. His driving record was endorsed with six points.